Multi-state mark–recapture models are structurally complex models, and in particular the complexity increases when there are unobservable states. Until recently, determining whether or not such models were parameter redundant was only possible numerically. In this paper, we show how it now possible to examine parameter redundancy of such models symbolically. The advantage of this approach is that you can determine exactly how many parameters can be estimated in a model for any number of years of marking and recovery, as well as which combinations of parameters can be estimated. Here, we illustrate how the new methodology works for multi-state models. We further develop rules for determining the parameter redundancy status of a whole family of multi-state mark–recapture models. The online version of this article (doi: 10.1007/s10336-010-0574-0) contains supplementary material, which is available to authorized users. 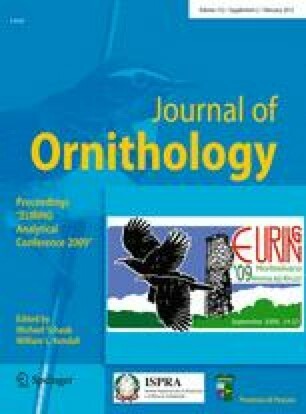 Thanks to Byron Morgan, the session chair and two referees for their comments on this paper, and to Christine Hunter for her description of multi-state mark–recapture models for seabird populations.